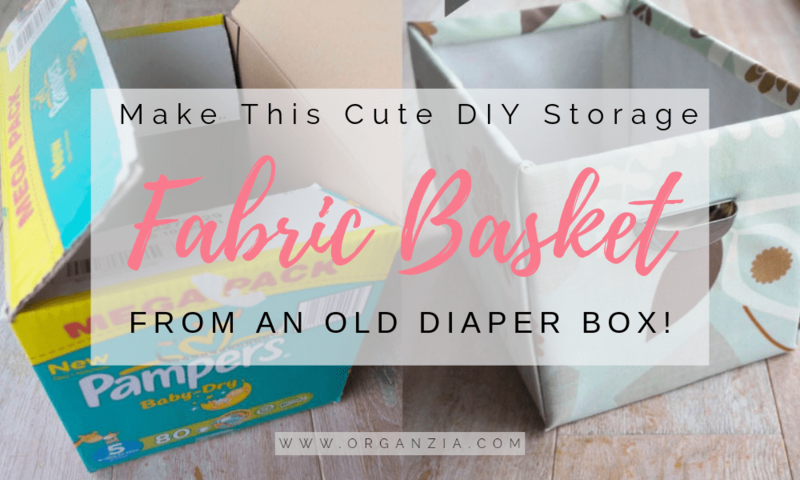 I’ve seen this project so many times on Pinterest, and I just love the idea of making a useful and pretty DIY fabric basket from an old diaper box. Having small children, you often end up with a lot of these, so why not make something useful of them? Most of the tutorials I’ve seen you have to be able to sew. Well, unfortunately, I’m terrible at sewing! So I ended up just forgetting about the project until one day I saw one of these empty diaper boxes in our storage room. I had one of those a lightbulb moment. Start getting your empty diaper box ready and cut of the four cardboard “wings”. Use one of the cardboard pieces you just cut off to re-enforce the side where you want your handle to be. You can also use the remaining cardboard pieces to reinforce and fill in the bottom of your box. Make the holes for the handle, check to see if the handle holds. Measure your diaper box, and measure up the fabrics you’re using. Add a little bit to your measures for a folding seam, where you’ll be gluing. Cut out the fabric. Start with covering/ spraying glue to the bottom inside of your box, center the fabric where the bottom of your box will be. Then you’ll glue/spray as you go around the box and attach the fabric to all the sides of the box. 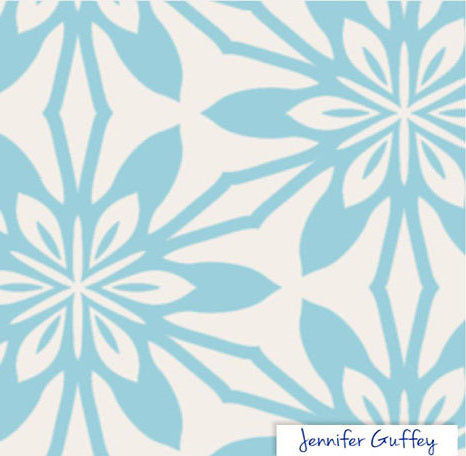 When you’re finished with covering the inside of your box, lay out the outside fabric. Place your box on top of the fabric centered where the bottom side should be, work yourself around the box and glue the fabric to all the sides of the box. Fold a simple edge on the inside of the box, and glue it to secure. Attach your handles to the box, and you’re finished! For being my first try at this, I’m super happy with my new storage basket. I’ll definitely be making a couple more of these for some added storage to our new home office. Make sure to use a thicker fabric for the outside of the box, and not regular thin cotton. If your fabric is too thin you’ll be able to see through it, and that’s not pretty! 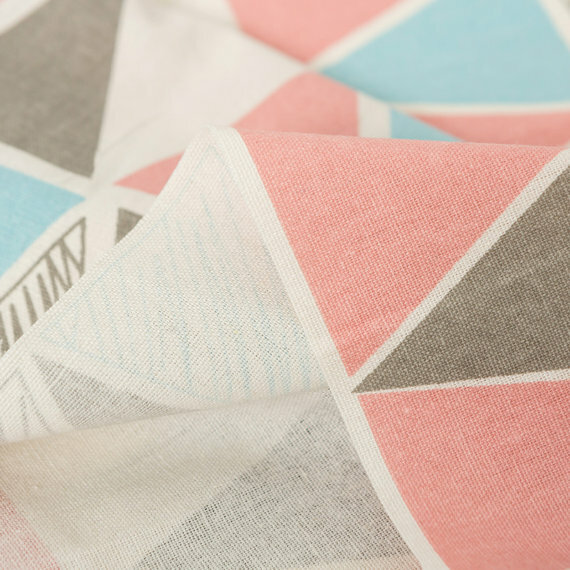 For fabric suggestions, have a look at these fabrics. Such beautiful and calming colors. Be sure to leave me a comment if anything is unclear, and I hope you’ll be trying to make your own storage basket! It seems the silver handles are upside down. If turned the other way, your fingers would cup up into them when lifting the basket. Just wondering.